Sol 2225, November 9, 2018. 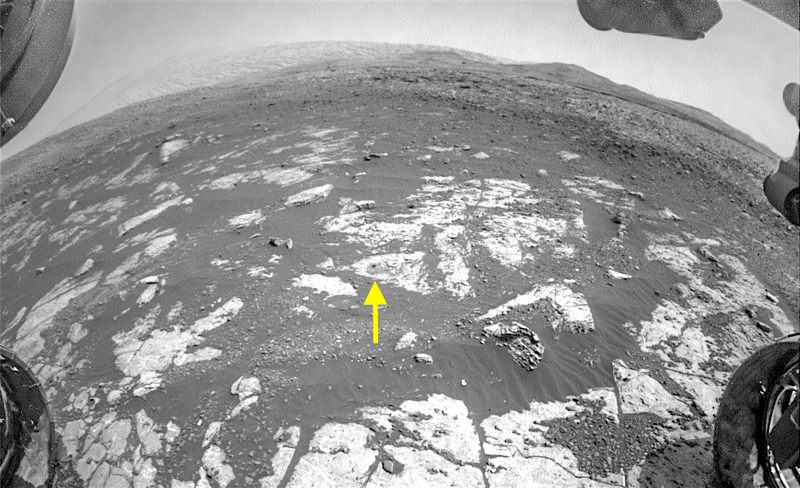 Above is the front Hazcam view showing the location of the Highfield drill hole (arrow). Note Mt. Sharp on the skyline at left. 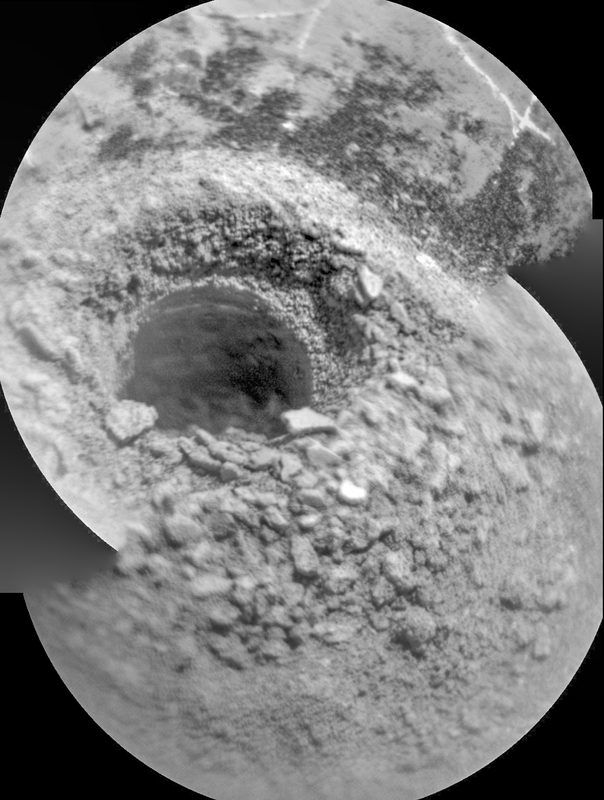 At right is a two-frame composite by the Remote Micro-Imager showing Highfield and a little of its interior surrounded by a pile of drill tailings. Click either image to enlarge it. Sol 2225 raw images (from all cameras). This entry was posted in Reports and tagged Aeolis Mons, Curiosity, Gale Crater, Highfield, Jura, Lake Orcadie, Mars Science Laboratory, Mount Sharp, MSL, Murray Formation, NASA, Vera Rubin Ridge. Bookmark the permalink.